Are you concerned about cookies? You've arrived on our Cookie Information page, so we guess you may be concerned about them or maybe you are not sure what they are. Let us explain. So, what about the cookies used on this site? We use Google Analytics which is a service provided by Google to help millions of website owners like us. Google collect anonymous data for its Analytics service (i.e. they do not capture your name, contact details or billing information). They do this by using cookies to track visitor interactions. These "first-party cookies" (so called because they are placed by this site) are used to store information, such as what time the current visit occurred, whether the visitor has been to the site before, and what site or search referred the visitor to the web page. We use the analytics data Google provide to us to help us improve our website and the services we provide to our customers. However, if you are unhappy about this, Google provide a facility for you to opt of being tracked by Google Analytics here: http://tools.google.com/dlpage/gaoptout. In the last few years the Internet has become increasingly social. It's no longer just about searching for information. People want to share what they are doing with their friends and love to tell them if they find something interesting or useful. Do you want to stop cookies from this site being saved on your computer? 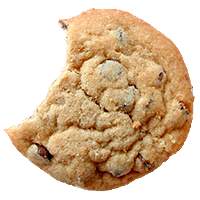 As we have said above, cookies are used on this site to make the site work better both for you and for us. We are committed to using cookies responsibly. However, if you are really anti-cookies then you can either choose to not use our site or perhaps better still (bearing in mind that most websites use them) you can configure your browser to block all cookies for all sites or just from the sites you are concerned about.